CDC says women shouldn't drink unless they're on birth control. Is it drunk?!? CDC Says Women Shouldn’t Drink Unless They’re on Birth Control. Is It Drunk?!? Probably none of these women should be drinking, according to the CDC. A new Centers for Disease Control and Prevention report recommends that women of childbearing age who are sexually active and not using birth control stop drinking alcohol altogether. “The risk is real. Why take the chance?” the CDC’s principal deputy director says in the press release accompanying the report. The agency’s logic is that about half of all American pregnancies are unplanned, and many women don’t know they’re pregnant for the first month or so. But it’s the kind of swath-yourself-in-bubble-wrap thinking that has turned modern pregnancy into a nine-month slog of joyless paranoia. The CDC has been a leader in the better-safe-than-sorry school of pregnancy care for at least a decade now. A 2006 report recommended that all women between menses and menopause should take folic acid, avoid smoking, and maintain a healthy weight to prepare for healthy pregnancies, just in case. Critics at the time accused the government of viewing millions of women as “pre-pregnant,” regardless of whether they were planning on having babies soon, or ever. The CDC’s recommendation is also out of step with the way many women already conduct their pregnancies. 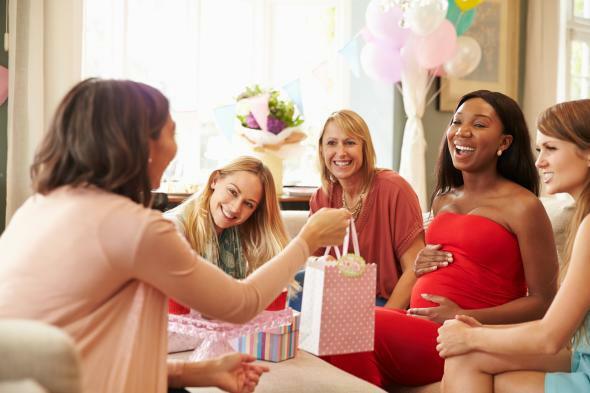 A 2012 report from the agency itself found that older and more educated women were significantly likelier to drink during pregnancy than younger, less-educated women are. And many doctors seem perfectly comfortable with moderate alcohol consumption in the late stages of pregnancy. When I told my doctor that I was enjoying a glass of wine per week in my third trimester, she didn’t bat an eye. The backlash to this dose of sanity was swift and severe, as Oster detailed in Slate, but I recommend her sanity-preserving book to any pregnant woman overwhelmed by advice like the CDC’s. What the heck, I’ll go CDC-style and recommend it to anyone who could possibly ever become pregnant, at any point in the future, no matter how small the odds. Why take the chance?